The dancers of Versa-Style, which is touring Alaska this week. Hip-hop has gotten a bad rap, says Jackie Lopez, an unfortunate association with drugs, gangs and violence, at least among some unfamiliar with the culture. "The mainstream media has made it about negative messages," Lopez told the Dispatch News. "Hip-hop is not that." Lopez is the co-founder of Versa-Style Dance Company, a Los Angeles-based nonprofit performing group touring Alaska through Feb. 3. This week they'll be in Anchorage presenting shows at local schools and public performances in the Discovery Theatre on Jan. 27 and 28. The group's mission is "giving people hope, love, unison," she said, "bringing people together under one umbrella to feel and be reminded that we're all human beings." In a review of Versa-Style at the Edinburgh Festival Fringe, a writer for The Scotsman newspaper admired the troupe's dedication "to pay homage to the roots of hip-hop dance, to present it in a way which elicits respect and admiration for the art form and to highlight issues from everyday life. All of this is wrapped up in a package of energetic performance, hugely enjoyable choreography and great musical choices." Lopez founded the company 12 years ago with Leigh Foaad. Born in New Orleans, Foaad moved to Los Angeles at a young age and didn't start dancing until his late teens. "I was heavily into martial arts from the age of 6," he said. "I was trying to get more flexibility and training and I asked my mom if ballet might help." Foaad's mother was a ballerina. "She kinda tripped out. She thought her dream was coming true, that I'd become a ballet dancer. But instead I started gravitating toward hip-hop. I started taking lessons and gained a heavy, heavy passion and love for it." His mom's disappointment notwithstanding, Foaad said his ballet and martial arts lessons helped him learn discipline and focus. "It taught me everything takes patience," he said. "It kept me humble." Born in Los Angeles to immigrants from El Salvador, Lopez never had the advantage of formal study. "My parents couldn't afford dance lessons for me," she said. "But there were always dance parties and family parties. That was my knowledge and experience. But I was the first in my family to go to college and I thought it was my duty to make my parents proud." Both of the company's directors grew up in the popular culture of their youth, which was infused with hip-hop. They attended the same high school, but didn't meet each other until Foaad took part in a summer dance course at UCLA. "Jackie saw my performance and that's when she and I got in contact and started sharing," he said. "I saw him and thought, 'Wow! This guy's incredible,' " Lopez recalled. "I asked him to be part of my thesis. We hit it off. We had this great chemistry, the same ethic for dance and working hard. We performed at UCLA and that opened a lot of doors, made a lot of noise. But it wasn't quite clear where that was going. Little did I know that this would lead to the birth of Versa-Style." Their UCLA project made a connection between Latin, African and hip-hop. "The university loved it," Lopez said. "We started getting people asking us to dance again and decided we should make something out of it." Today Lopez and Foaad are adjunct lecturers with the World Arts and Cultures/Dance Department at UCLA. 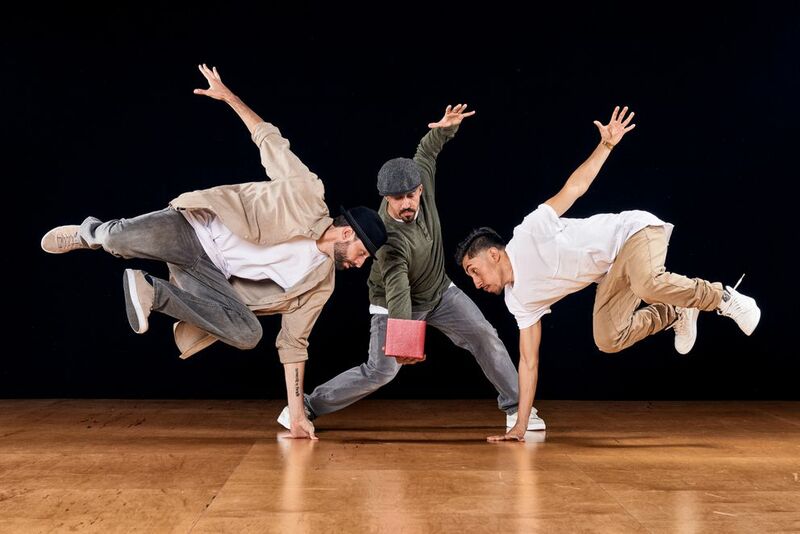 They've worked widely as guest choreographers and been the subject of a documentary film, "Furious Beauty," which drew praise at the Los Angeles Film Festival. 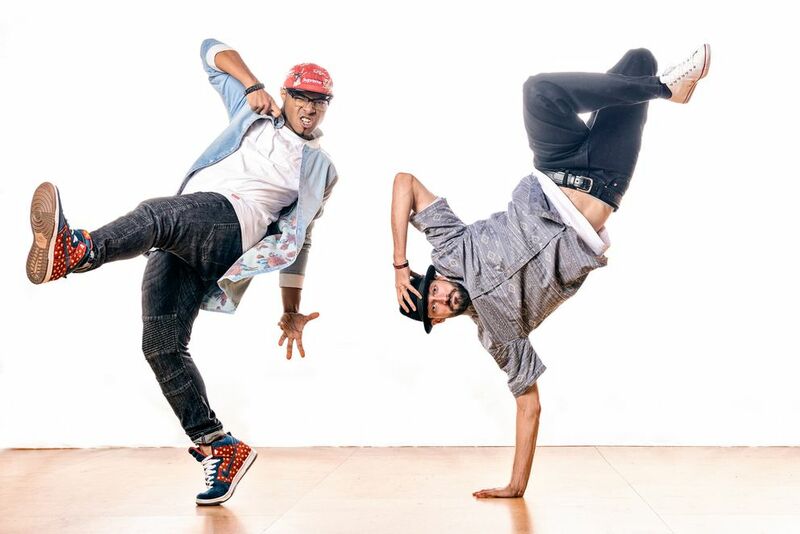 The Versa-Style dancers have performed around the world as part of the U.S. State Department's Arts Envoy Cultural Exchange Program, received national awards and picked up wins in international hip-hop competitions. 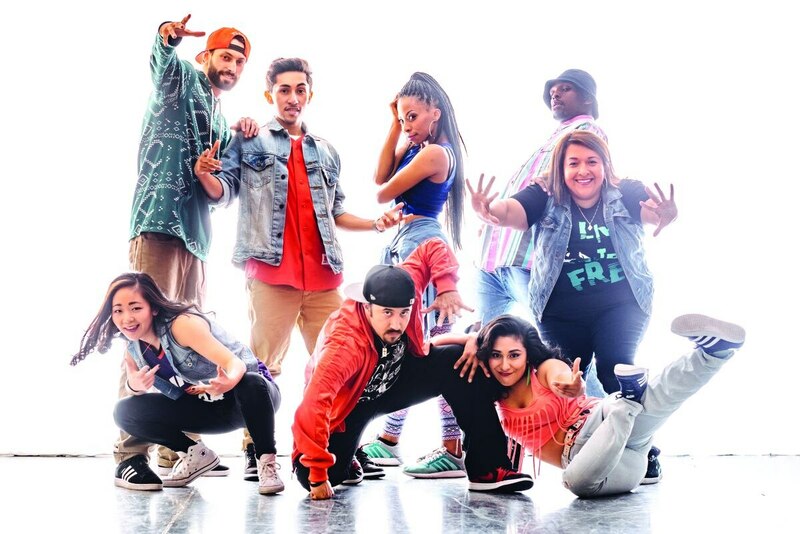 Among the kudos was the LA Weekly's selection of the company as the "Best Dance Troupe for Hip-Hop Empowerment." The Weekly specifically praised the training and mentoring program for dancers between the ages of 15 and 20, Versa-Style Next Generation, and noted that 100 percent of the dancers in the program had gone on to attend college. "We're heavily involved in the community," Lopez said, "inspiring the youth. Lord knows they need it. This is the music that they're already very much knowledgeable about." "We do about 20 K-12 school shows a year," said Foaad. "In one hour we try to give them an entertaining show while sharing the history and knowledge of hip-hop culture." School shows are part of the Alaska itinerary for the 10 visiting dancers (one of whom doubles as the sound-and-light technician). The palette of styles includes house, popping, locking, whacking and boogaloo, as well as Afro-Latin styles ranging from salsa, meringue and cumbia to Afro-Cuban. And that's not a complete list. As is the custom, the Versa-Style dancers usually perform under "akas" (stage names, pronounced: "ay-kay-aize," rhymes with "make hay maze"). Foaad, for instance, is Breeze-Lee. Lopez is Miss Funk. "It's a right of passage," Foaad explained. "Once you've put in your time and entered a certain number of battles (competitions) to earn the approval of your teachers and mentors, they give you an aka." The troupe has gained respect in the Los Angeles dance community and fame abroad due to their talent, devotion and drive to succeed, writes Jeff Slayton on the SeeDance.com blog site. But their ability and name may not be familiar with audiences outside the hip-hop world — like audiences in Anchorage, Alaska, for instance. In 1997, the Anchorage Concert Association sponsored a highly entertaining hip-hop musical "Jam on the Groove," but the size of the audience was disappointing. Perhaps the typical attendee at the time couldn't quite absorb a connection between a concert hall and what was perceived as rough and rude street dancing. Aside from the cultural hurdle, Versa-Style faces the same kinds of obstacles that confront dancers everywhere. "What prevents this company from reaching a larger and more diverse audience is exposure, opportunity, access to presenters and funding," said Slayton. "The work created by Lopez and Foaad is professional and represents with great distinction an important element within the L.A. dance scene." Supplying an opportunity is a major part of Versa-Style's mission, Lopez said. "We're giving dancers a chance to do something. We're able to create a platform to raise a crop of amazing dancers." Lopez was particularly enthusiastic about one of the works on the program, "Box of Hope." The piece uses mostly Motown classics by the likes of Marvin Gaye, Stevie Wonder and the Temptations. "We're able to show the positivity," she said. "We hope people will be fascinated and walk away with a deeper appreciation for the dance and the message. I think we're blessed to be able to communicate that." VERSA-STYLE, presented by the Anchorage Concert Association, will perform at 7:30 p.m. on Jan. 27 and 28 in the Discovery Theatre. Tickets are available at centertix.net.